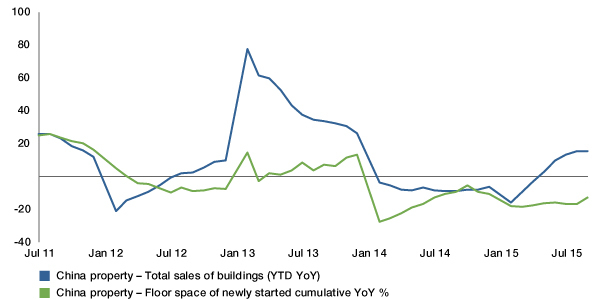 The health of China’s builders is an important indicator of on-the-ground activity. But the signals are mixed. “Although traditional leading indicators of construction like housing sales and new fixed-asset investment (FAI) projects have turned up, the actual measures of activity continue to move lower,” says Mike Hugman, strategist in Emerging Market Fixed Income. “Based on historical relationships the lags should have cleared and there should now be more activity. If the lags are getting longer and activity picks up this quarter, it could be a multi-quarter growth relief rally.” But he warns that if those leading indicators have disconnected from final activity the situation might be more bearish. Watching out for the continuing disconnect or realignment between FAI starts and real activity will be key over the next quarter.